As a registered coach, counsellor and trainer, specialising in business and executive development, Mary Anne’s focus is on supporting and enabling people to achieve their personal and business potential. The foundation to this is building a trusting relationship to create a space where people can safely explore opportunities and challenges that may be impacting their effectiveness and fulfillment in their workplace or personal life. As every client is an individual, Mary Anne takes a flexible approach, based on their needs and personality; using a variety of coaching and other therapeutic models. Mary Anne began her career at Foster Wheeler supporting major petro-chemical projects across the world. This led her into the software industry where for over 20 years she worked in UK and USA. From an initial career in training in project management she moved to sales and marketing, reaching the position of Marketing Director for the European Software Division of ADC Telecommunications. Mary Anne left the corporate world in 2005 to run her own business and in parallel trained as a Counsellor in Transactional Analysis. 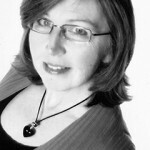 As such she has extensive experience in coaching groups and individuals to achieve change. Insight into how large corporate organisations operate and what is required to balance the needs of the individual and the organisation to achieve mutual success. Experience of working with international teams and different cultures. Personal experience and understanding of what it means to run your own business and the challenges faced in balancing the tension of fulfilling the work, while still generating business. All of this is grounded in a strong psychological understanding of people and an ethical and professional framework. Certificates in both Cognitive Behavioural Coaching and Performance Coaching.